Not just fish but also vegetable ! 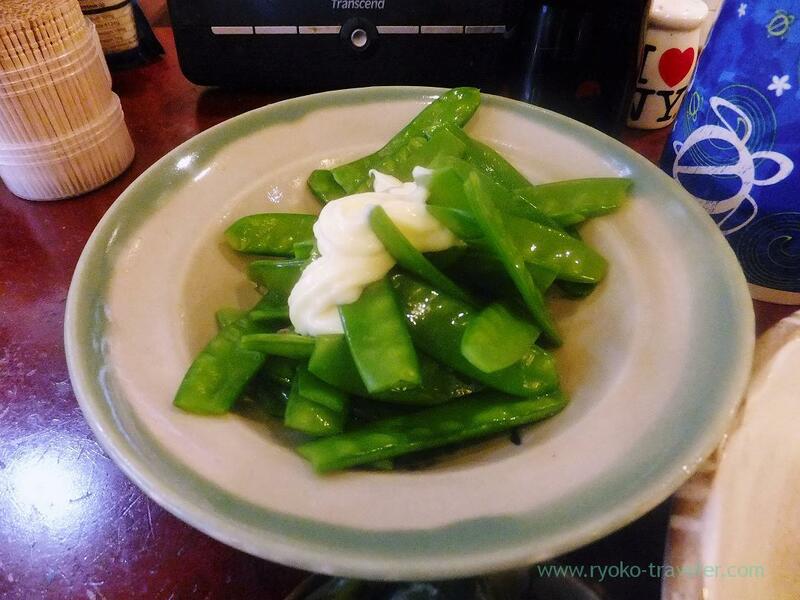 I took breakfast at Yonehana in Tsukiji Market after a long long interval ! This is the “Today’s chef’s choice” ! 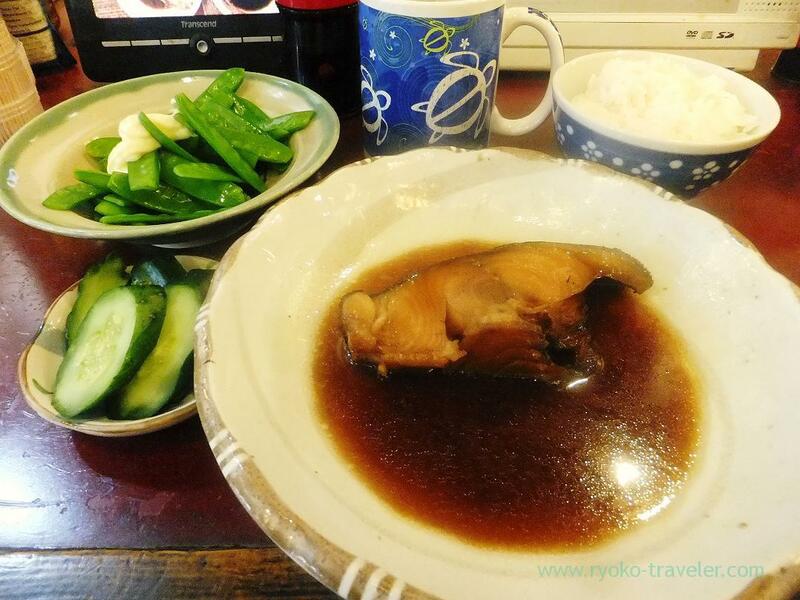 The boiled fish is black cod. So fatty black cod tasted good. Not only its meat, but also its skin was good ! The waiter recommended another guests to eat also the skin, too ! Lots of snow pears with mayonnaise ! Boiled snow pears were still crunchy and it tasted fresh green vegetables. I usually boil snow pears until those textures are very soft. I think I deprive snow pears of those freshness and nutritional value. 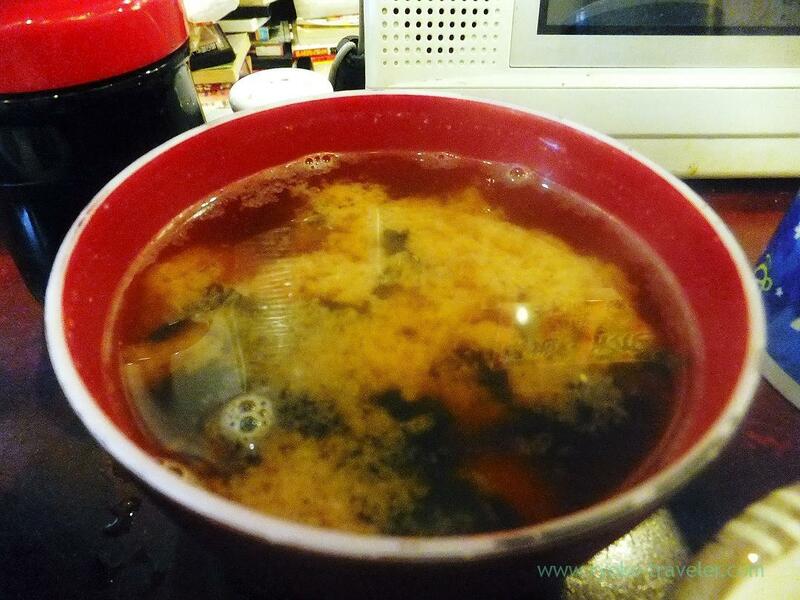 And after a while, my miso soup came. At first, I ordered liver yakitori, but the waiter said that they didn’t have liver parts of meat for yakitori that day. So, I ordered a dark meat yakitori. Yonehana sometimes don’t prepare liver parts of chicken for yakitori at summer because it is hard to protect the freshness at muggy season. 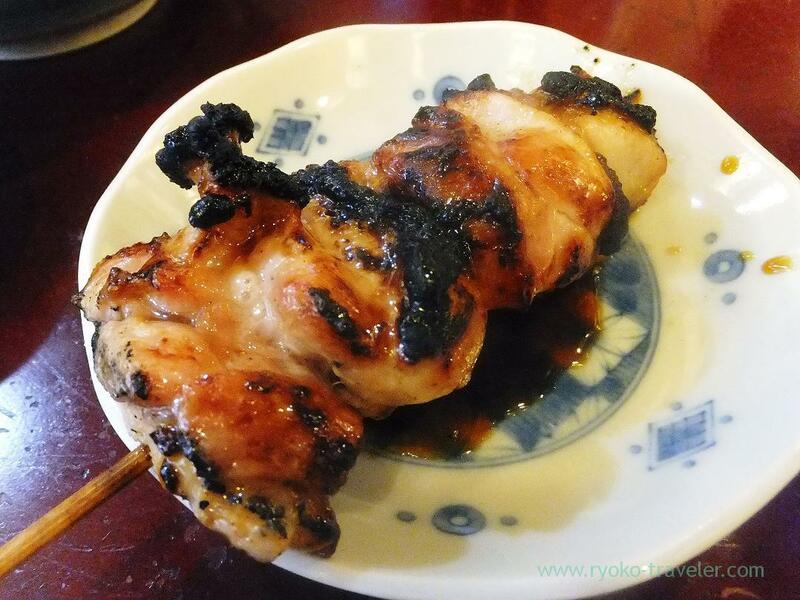 But dark meat yakitori was good, too ! As you see, big portion !